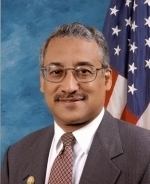 Representatives John Conyers (D-MI) and Bobby Scott (D-VA) have once again introduced a Slavery Reparations bill into the US House of Representatives. In this incarnation, the foolishness is called House Resolution 40 (H.R. 40): Commission to Study Reparation Proposals for African-Americans Act. Time and again a subset of Blacks in America demand hand-outs from America for the oppression that their ancestors – some of them at least – suffered, and time and again the Black Democrats that they elect to the US House of Representatives try to get those hand-outs for them. It’s probably best just to laugh this off as another rendition of the same old political posturing that America has seen from these sorts year after year and year since the 1960s. But, just because we’re laughing and not getting too worked up over these attempts as racialist extortion, doesn’t mean that we should ignore them and not keep tabs on these people. 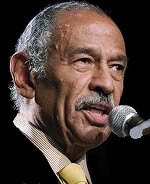 Individuals like John Conyers and Bobby Scott bear watching, as do their co-conspirators, Rep. Charles B. Rangel (D-NY) , and Rep. Bobby Rush (D-IL). They’re all cut from the same bitter, racist, White-hating, opportunistic cloth. They’re all looking for hand-out from the government and from the rest of us. This entry was posted on Tuesday, February 10th, 2009 at 1:02 pm and is filed under Politics. You can leave a response, or trackback from your own site.